Today we will highlight an awesome app for iPhone, iPad and even the latest iPod devices. 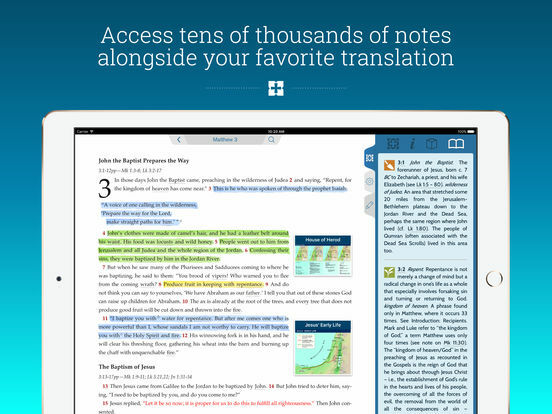 NIV Study Bible for iPhone & iPad is a must download for anyone who is either a christian, curious, or just wants to have a bible with extra details handy on their iOS powered phones and tablets. 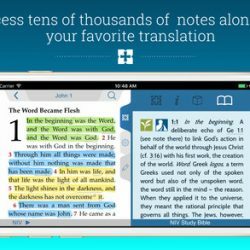 What makes this bible app different from the rest? Let’s find out. What Is NIV Study Bible? 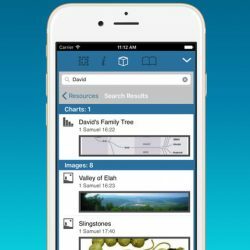 NIV Study Bible features stunning full-color video, photographs, maps, charts, illustrations, and panoramic interactives, this digital study Bible app is like placing an entire resource library for Bible study in the palm of your hand. An all new fresh, clean, and powerful design will allow you to easily read the Bible, navigate, search, highlight verses, bookmark, copy/paste notes, and so much more. This app comes complete with the full New International Version (NIV) Bible. • Over 20,000 study notes, with icons to make important information easy to spot. • Book introductions and outlines provide valuable background information for each book. 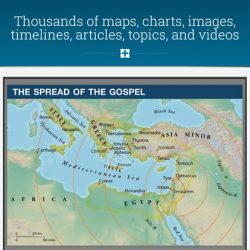 • In-text maps, charts, diagrams, and illustrations visually clarify the stories in the Bible. • Over 100 stunning full-color photos of archaeological artifacts and Biblical locations. • Over 60 Full-color maps showcasing Mesopotamia, The Exodus, Paul’s first missionary journey, and more. • Over 60 full-color charts taking you deeper into the major Covenants of the Old Testament, Tabernacle furnishings, Parables of Jesus, and more. • Interactive panoramic images of Herod’s temple, Solomon’s temple, and the Tabernacle. • Full color videos visually navigate the path of Jesus’ ministry, the Journeys of Abraham, and more. 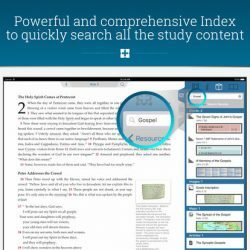 • Searchable index of topics, charts, maps, images, study notes, and complete Old and New Testaments allows you to find words or study content quickly and easily.